Can’t get enough of head massage at the hair salon? Simply enjoy getting your head massaged or gently scratched? 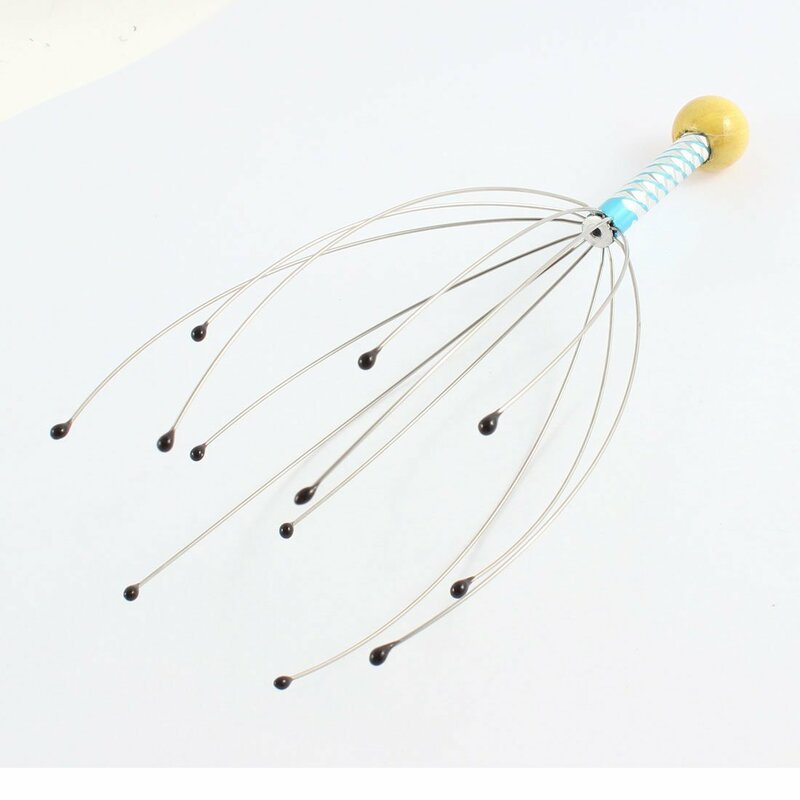 You’ll love how ridiculously good and relaxing our scalp massagers are. The Scalp Massager will send tingling sensations from scalp to toes and transport you to a more relaxing place! The custom fit fingers will bend to fit your head. Gently raise and lower the Scalp Massager for a relaxing massage. MAGICAL FINGER TIPS OF ANGELS – This Scalp Massager has rubber beads over each spindle that glides over your scalp producing a relieved feeling every time you use it. CLEARER & HEALTHY SCALP - Gently loosen dead skin cells, massage away product buildup, promote hair growth. SOOTHING - Improved blood circulation can gives you instant relaxation. This tool reduces tension by stimulating sensitive nerves in scalp. Relax stressed muscles; relieve headaches. USE IT ONCE AND YOU GET HOOKED!! Feel your stress instantly melt away and feel a sense of calm now!